More than 1,000 new jobs are to be created after consent was granted today (19 December) for the first phase of a transformational waterfront development in Liverpool. 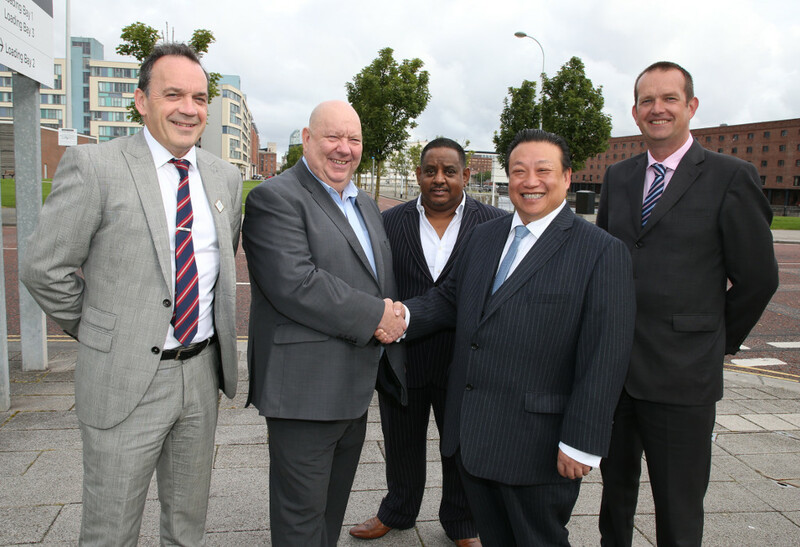 Wirral-based business The Contact Company is working with landowner Liverpool City Council and development partner YPG to build new offices on land at Monarchs Quay, part of the King’s Dock. Today Liverpool City Council’s planning committee granted consent for the new complex, which will be in addition to the company’s existing sites in Wirral and will house new employees required to service the growing business. The development will represent the first phase of a major mixed use development which will create a new leisure, commercial and retail destination on the banks of the River Mersey. Consent was also granted for the creation of new public realm adjacent to the Queen’s Dock. Work by the developer, YPG, will start early in the New Year with The Contact Company expecting to open the doors of its new office late in 2018 or early 2019. The building will be four storeys high and represent a total of 45,000 sq ft of Grade A office space. Its opening will mark the biggest single jobs boost for Liverpool City Region since the opening of Liverpool ONE in 2008. Further phases of development of the site could include a major leisure attraction, a hotel, new apartments and homes, restaurants, bars and shops and a car park. A new Winter Garden, new public realm, state-of-the-art bowling complex and an innovative virtual reality leisure centre are also being considered by Liverpool City Council. Hundreds of additional jobs would be created in the further development phases and during construction. Images of the development and an accompanying video, featuring Liverpool FC legend Jamie Carragher talking about the city’s regeneration, were showcased by developer YPG at the MIPIM international property conference in London earlier this year. The Monarchs Quay site is already allocated for mixed use development in the Liverpool Unitary Development Plan, which has been widely consulted on over a number of years and dictates acceptable uses and design principles for the site. Liverpool Mayor Joe Anderson said the overall plans, designed by Liverpool architect Chester Falconer Hall, would represent a major boost for the city in terms of jobs and new leisure facilities. He added: “This is just the start of a journey which will see us creating a new riverside destination, boosting our visitor economy and creating jobs for local people. The Contact Company provides customer contact services to a range of UK and international businesses. It was founded in 2006 with 15 staff and now employs some 1,800 people at its two contact centres and recruitment centre in Wirral. Ming Yeung, the Chief Executive of YPG, a specialist mixed use developer which has some £180m assets in its development pipeline, said: “This will be a high quality Grade A office development which will benefit scores of local businesses both in the development phase and once complete. The new office for The Contact Company has been designed by Liverpool architect Falconer Chester Hall. YPG, which is also bringing forward developments in Liverpool’s Baltic Quarter and in the city’s Islington Fabric District, was represented by Freeths.